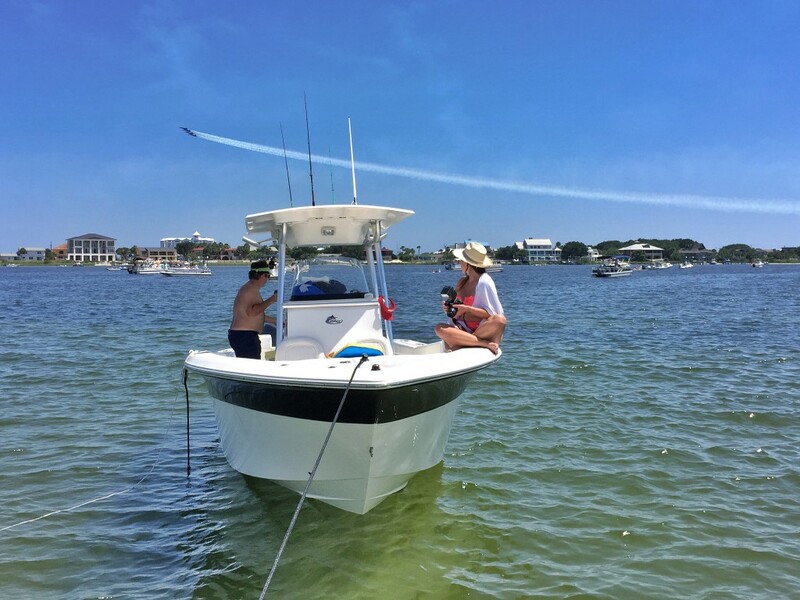 There are many things to do in Orange Beach while on vacation, and the Blue Angels air show is on top of the list. The Blue Angels fly all over the country, but there is no better place to watch these birds fly than the beach! The air show takes place in Pensacola Florida which is a short drive from Orange Beach Alabama. The Blue Angels fly every July and November, and the air show is a “don’t miss event” whether you are vacationing in Orange Beach, Perdido Key or Pensacola. The most popular way to watch the Blue Angels air show is simply driving to the public beach in Pensacola, and watching it from the white sandy beaches on the Gulf of Mexico. We caught the air show this year by boat, and wanted to share our Blue Angels air show experience with you. Since we live here, its easy to take for granted that our visitors know about the activities that the locals love in Orange Beach. By sharing our personal favorite activities in Orange Beach, we hope to keep you coming back to vacation with us on the Alabama beaches. The next Blue Angels show will be in November, so book your Orange Beach condo rental now! We can even hook you up with a boat rental if you decide to see the Blue Angels by boat. Visit the Blue Angels official website for the full schedule.